A newly-published book by St. Vartan Press entitled, Frequently-Asked Questions on the Badarak: The Divine Liturgy of the Armenian Church, will be officially released at a reception on Thursday, May 28 at 7:00PM in the Tahlij of the Armenian Diocese Center, 630 Second Avenue, New York. The event is being hosted by His Eminence Abp. Khajag Barsamian, Primate of the Diocese. Written by V. Rev. Fr. 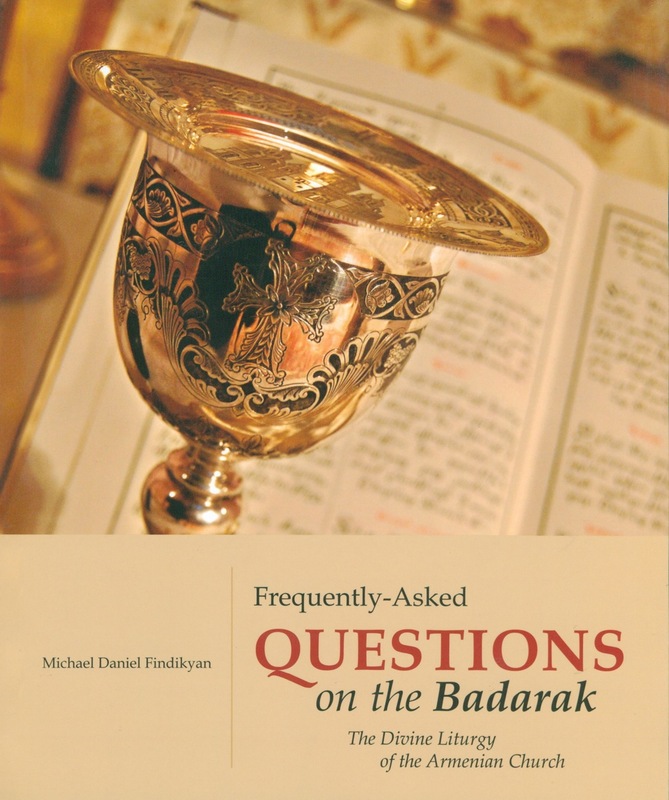 Daniel Findikyan, Director of the Zohrab Center, the slim but meaty volume came about several years ago, when young people throughout the Diocese were asked to submit their questions about the Badarak. Fr. Findikyan, who also serves as Professor of Liturgical Studies at St. Nersess Armenian Seminary, answered these questions and more, resulting in a book that will be of great interest not only to Sunday School and Armenian School students, but to their teachers and other adults as well. The reception is free and open to the public. Those planning to attend are asked to RSVP by phone at: (212) 686-0710 or by email at: zohrabcenter@armeniandiocese.org. Books will be available for sale and the author will be on hand to personalize copies.